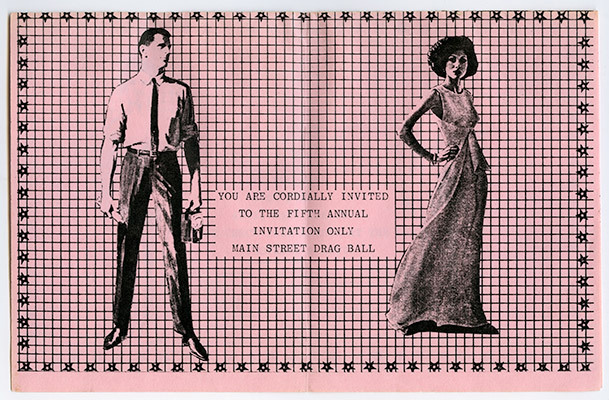 Between 1976 and 1980, the Mainstreeters produced five annual drag balls, with each ball a larger and more elaborate affair than the one that preceded it. Indeed, what started as a house party eventually concluded as a "hall gig" (the NDP Hall at 4603 Main Street), much like the early days of punk rock, when established nightclubs and booking agents wanted nothing to do with a musical genre that was perceived to be antagonistic to the medium – making rented halls the only option. 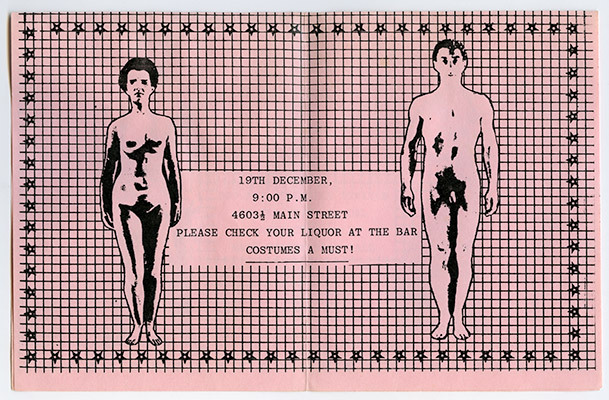 Although Vancouver had gay and lesbian bars that held drag nights, or welcomed those who arrived in drag, these venues were limited by codes that reflected an older generation's notion of identity and self-expression. 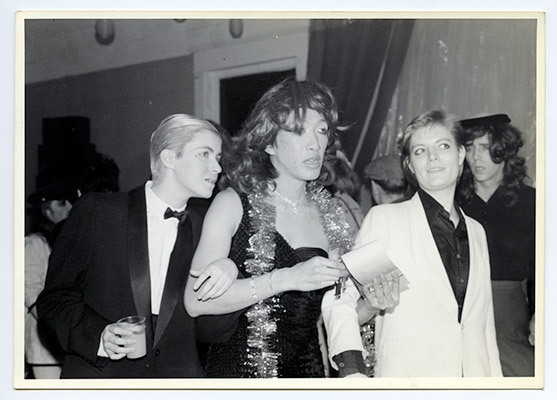 The Mainstreet drag balls began as a conversation between Kenneth Fletcher and Jeannette Reinhardt in the mid-1970s. What if we threw a party where men came dressed as women, and women came dressed as men? On the eve of the first ball, staged at 7th and Fraser, the question was now the rule: You can't get in unless you're in drag. The response was overwhelming, with a number of participants coming from the city's early punk rock and "new wave" music communities, but especially those involved in the visual arts. 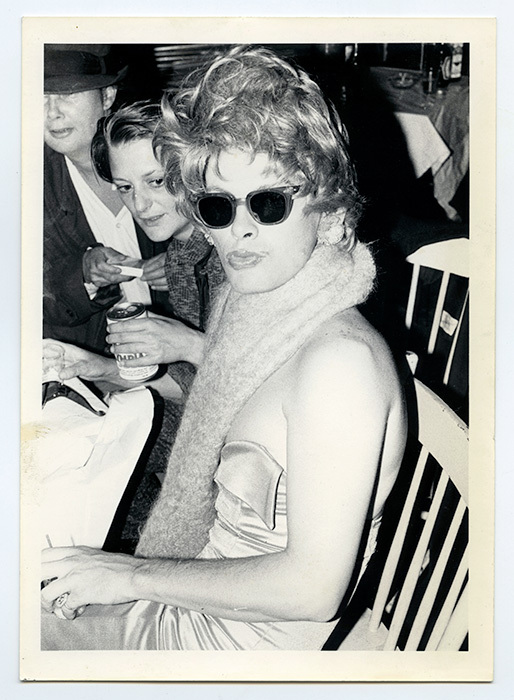 What is notable about the drag balls is that they were among the first instances where the largest number of Mainstreeters worked together on a single event, where responsibilities such as music, food, bar, props, trophies and security were divvied up. Also of note is that the balls served as a "coming out" party for the group in relation to the larger city, with people travelling from the North Shore, the West End and Kitsilano to attend these events. After the first two balls, everyone in the Vancouver art scene knew who the Mainstreeters were, and their membership in that scene was henceforth entrenched. 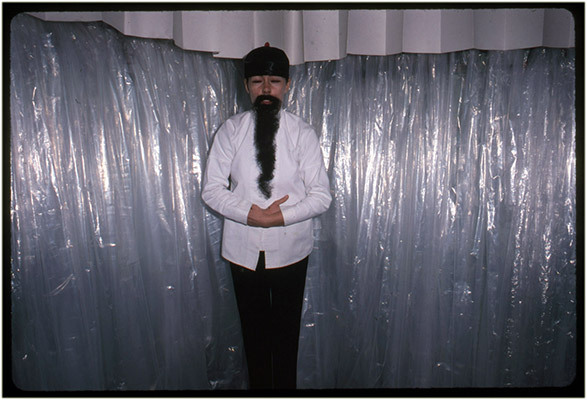 A video work exists of the Mainstreeter's third drag ball at 4196 Main Street. Entitled Main Street Drag Ball (17:45 mins. 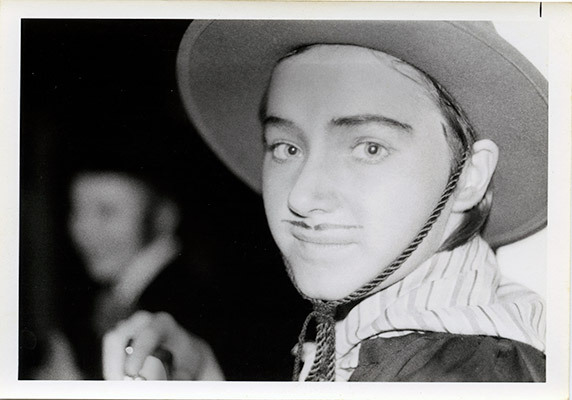 ), the lone credits are given to William Fearn ("Director") and Jeannette Reinhardt ("Make-Up"). 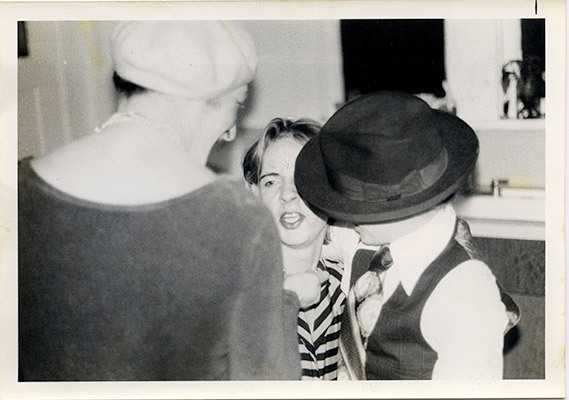 The video is divided into four sections: the first is a time-lapse of Jeannette's then-boyfriend Garth Fleming as she transforms his face from man to woman; the second features Charles Rea sitting at a vanity in female drag, while Jeannette, who is in male drag, enters the frame to light his cigarette; the third is of the dance party shot from a fixed high-angle camera; while the final section (introduced by an inter-title) acknowledges the party's dying moments, with Paul Wong passed out on the floor.